We are a Charlotte-Mecklenburg School's After School Enrichment Program (ASEP) Approved Vendor! You Can't Be Bored After School With FUN Science Experiments! 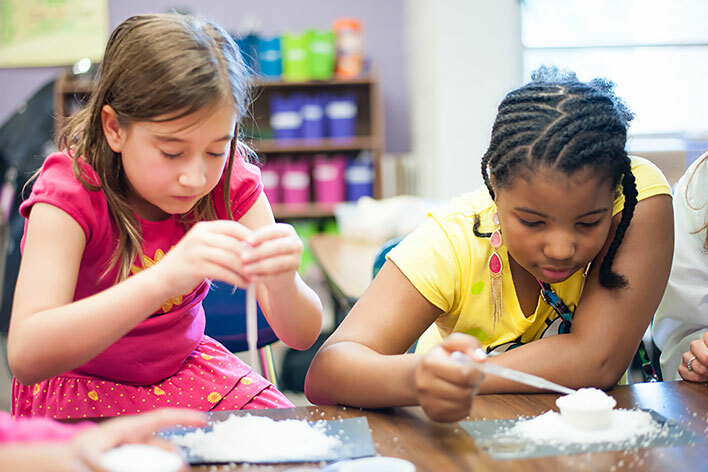 Geared for students in Preschool through Eighth grade, High Touch High Tech's afterschool programs and afterschool enrichments provide science experiences that spark your student's imagination. All materials are included and many of our programs include take-home experiments. Each student will receive a science certificate of participation in recognition for their efforts and accomplishments. Run for 90 minutes. The time can be split into 3, 30 minute sessions, or 2, 45 minute sessions to meet the needs of your afterschool. Please call for pricing. Run for 90 minutes. This time can be split into 3, 30 minute sessions, or 2, 45 minute sessions to meet the needs of your afterschool. The cost for these educational, fun-filled workshops is $5.00 per student with a program minimum, plus a $20.00 travel fee per scientist per day. Meet for 1 hour each week over an 8-12 week period and can accommodate any facility or number of children. We can customize the curriculum to meet your programming needs. The cost for these "edu-taining" enrichment programs varies, please call for pricing. Reservations are required. Please contact our office or complete our on-line reservation form to book one of our FUN Afterschool science experiences. Click on the links below to view our current Afterschool Program Postcard and a complete list of available Afterschool Programs. Learn the difference between the many species of insects. Examine real and dead bugs. See for yourself how an insect really sees the world. Perform honey taste tests! Every experiment you can, eat! We’ll make “science soda” out of orange juice. 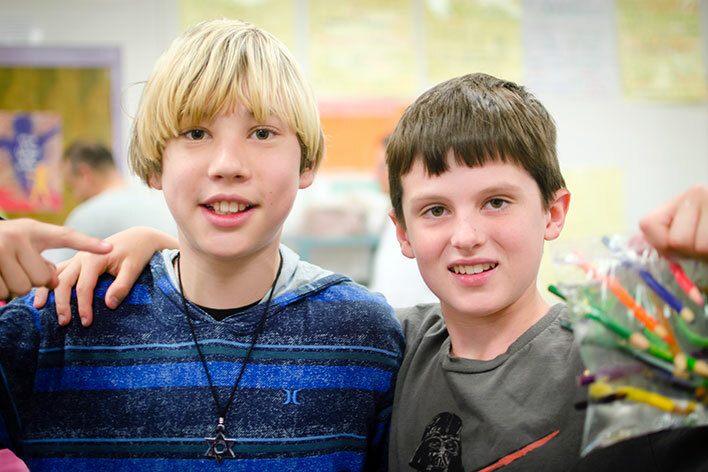 Create and eat gummy candies, our most popular afterschool program! Explore forces and motion. Have FUN as we discover invisible forces such as air pressure, magnetism, and inertia. Have FUN as we push, pull and get the job done! Take off on our high energy adventure into the world of gasses. Discover how gasses are made naturally and chemically. Have a gas race. Erupt Diet Coke and Mentos geysers! Explore the amazing world of electricity. Discover all the hair-raising facts! Step back in time to the age of the dinosaurs. Become a paleontologist and discover real fossils. Uncover the mysteries of the dinosaurs. Make your very own fossil! Roll up your sleeves for some CHEMISTRY FUN! Make your very own SPACE MUD and more! Experience a real launch, from rocket assembly to BLAST OFF! Become a crater maker in our asteroid impact experiment, create eclipses, and we’ll make you rotate and revolve like the planets with our “human gyroscope”! Discover the amazing world of plants. Extract real chlorophyll from Spinach, perform a seed dissection and make your very own greenhouse to keep! Discover the wonderful world of rocks. Pan for minerals and crystals, become a real geologist as you classify your rocks. Take home an assortment of real beauties, maybe even gold! Discover what sounds actually are. Make sound travel through different media. Build your very own ear drum and noisemaker! As a new zoologist, your students will journey through the amazing ways animals survive and adapt on earth. We'll play a moth camouflage game, and build an adaptive animal that must survive! Become and biologist as we learn all about YOU! We’ll take your height and temperature. Listen to our heartbeats with real stethoscopes, work with vaccines, discover your reflexes, put on gloves like surgeons and have a hands-on look at real bones and more! Join the chain gang, the food chain that is. Have fun as we learn about predator and prey relationships, and dissect real owl pellets! Find out what really matters! We’ll experiment with solids, liquids, and gases as we make a “Boom Bag”, we’ll race molecules, and more! Control the weather as we create clouds and snow INDOORS! We’ll also touch lightning and get to keep an anemometer! A: Some of our programs do have edible experiments, or may contain food items. If there are any foods or substances (ex. Nuts, Eggs, Latex, etc.) that are prohibited from your school, please inform us when you place your booking. We can certainly adapt a program to remove and replace an experiment if needed. "Awesome program! Kids were completely engaged, staff were too! We will definitely use High Touch High Tech again soon." 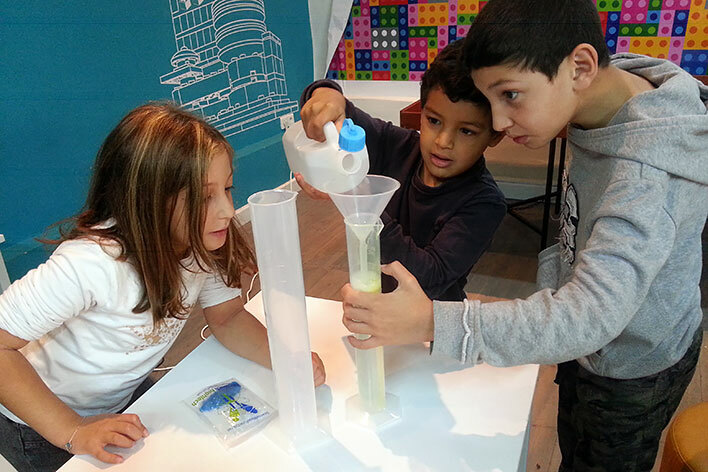 "The kids really enjoyed becoming a scientist. They thought it was fun and exciting. The experiments were nice and quick. It left room to do more experiments - excellent job!!" "Outstanding job. Kids had a great afternoon having fun with science. We truly enjoyed the experience." "Scientist kept children engaged during the entire program."